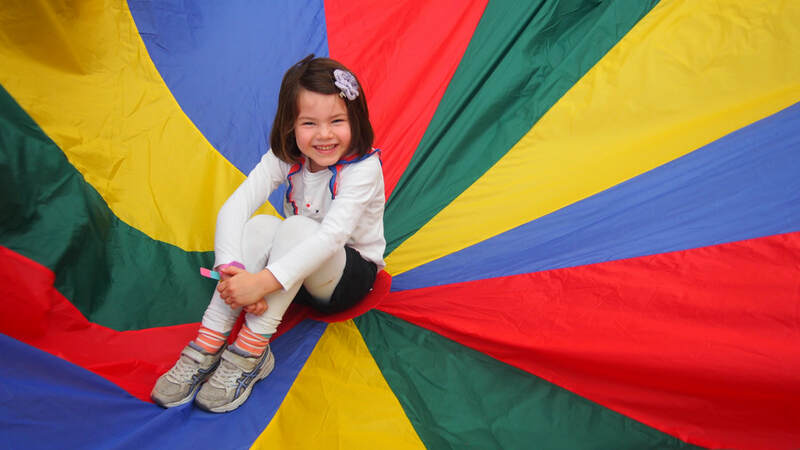 We offer 1 hour sessions of gymnastics and circus skills to ELC's and Kindies. We come to you with staff and equipment. Contact us for pricing. Our engaging incursion programs include 8 key skills in a child's development in a multi-sensory environment. 1. Hand eye coordination is seen in the use of scarves, juggling balls and plate spinning. 2. Balance is used in pyramids, acrobatic moves, tumbling. 3. Teamwork is focused on in a fun environment. 4. Spacial awareness is seen in our use of tunnels, circuits and parachute play. 5. Safe skills are put into use throughout our program to ensure each child's safety and their awareness of others. 6. Multitasking is a skill which each child learns through our gymnastics circuits. 7. Agility is a key skill developed in our gymnastic circuits. 8. Strength and physical fitness. Balancing plates in our circus skills section of our incursions. Critters are used in our gymnastics circuits to focus on balance and hand and eye coordination. Parachute play towards the end of each session.